The western boots originated in the American Southwest during the mid-1800s, and since have remained extremely popular. Today, these boots are worn by both men and women, and not just in the United States. 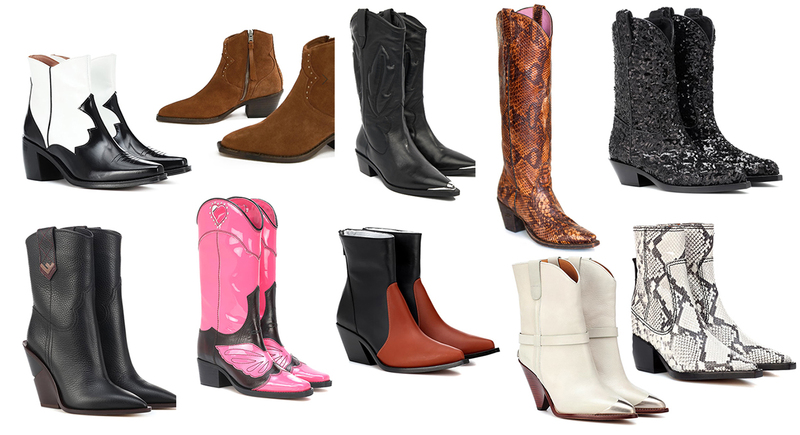 There are two basic styles of cowboy boots, western (or classic), and roper.Classic cowboy boots are the most common and iconic of all western boots. These boots have an angled heel of intermediate height. The shaft of most cowboy boots usually reaches to about mid-calf. Cowboy boots are normally made from cowhide leather but are also sometimes made from "exotic" skins such as alligator, snake, buffalo..The toe of western boots was originally rounded or squared in shape. The narrow pointed toe design appeared in the early 1940s. A newer design, the "roper" style, has a short boot shaft that stops above the ankle but before the middle of the calf, with a very low and squared-off "roper" heel, shaped to the sole of the boot, usually less than one inch high. 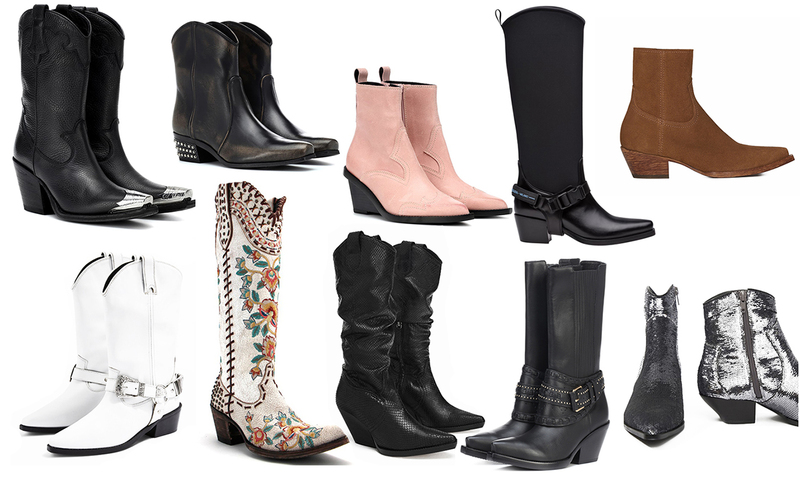 Roper boots are usually made with rounded toes, but, correlating with style changes in streetwear, styles with a squared toe are seen.